We can make any software service in a few simple steps. At Start-Automating, we can help you rapidly create any software service. Software services are designed to help you generate income automatically with your capabilities and our automation. 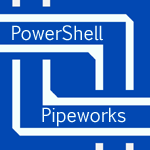 We've created on the only service oriented web language, PowerShell Pipeworks, and can use it to create software services in a snap. In most cases, a software service will cost $10,000 to develop. If you'd like a software service, just provide a name, email, phone number, and $5000 as a deposit. When the service is published, we'll ask for the rest.